Who's ready for a WEIGH IN??!?! I know I am for sure. Im ready to see the results, as small as they may be. Im ready to have my cheat day since I didn't take a real one on Sunday (I ate a few chips with dinner but no sweets) and Im ready to get Phase 4 going! I’m really just hoping for a loss. I have had a hard Phase 3, much harder than I thought. Most of it was my fault, but when I finally got out of my own way I still couldn’t get the scales to budge. 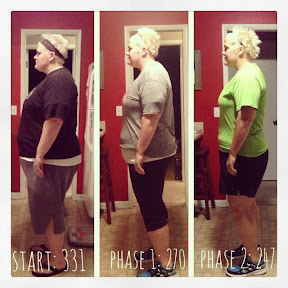 I started Phase 3 at 247, and I have been between 245-253 for three months. When I decided that upping my protein was a great idea I gained 15 pounds in 3 weeks. I lost that 15 pounds but just never really went past that, then I tried the protein shakes again and up again. I’m glad I figured out that I don’t metabolize Protein Shakes well but I wish I could have figured that out next year and not when I have set such big goal for myself. When I finished Phase 1 I was so mad that I didn’t hit my goal, but for some reason I’m not angry about this one. I have busted my tail to get the weight off and my body just hasn’t cooperated with me. My pants size is down, my fitness is better and hopefully the scale will catch up in Phase 4. For any of you newbies out there let me fill you in on the whole Phase1, Phase 2 thing. I decided this year that I was going to take off the weight that I have put on the last couple of years. The weight that took me 5 years to take off the first time but I wasn’t giving this another 5 years, nope, I was going to get it off this year. 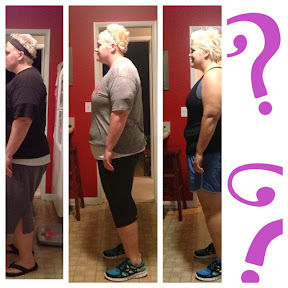 One focus: Weight LOSS! So I broke the year down into 4 Phases (very Chris Powell Extreme Weight Loss of me). Phase 1 goal was 65 pounds, Phase 2 was 40 pounds, Phase 3 (the current phase) 30, and finish off with Phase 4 and 20 pounds. I haven’t hit my goal yet but in the past 9 months I was down 85 pounds which is kinda awesome if you ask me! Each one of these Phases came with a prize. Since I am bankrolling and funding this I did give myself the prize for phase 1 even though I missed my goal. I didn’t get my Phase 2 goal but used that same prize for Phase 3. If I hit my goal, and maybe if I don’t, I still might get it. I know how hard I have worked this time and think Crossfit might be the right change up this time. I have learned that I am not changing up my diet, it’s been working, but I might change up my workout a bit! So be sure to come back tomorrow for the results….I don’t know exactly when I will be able to post but I’ll put it up as soon as I can. You go girl! You are doing great 85 Lbs is no small feat.